Converted hunting stand into drawing stand. Drawing while interacting with people. 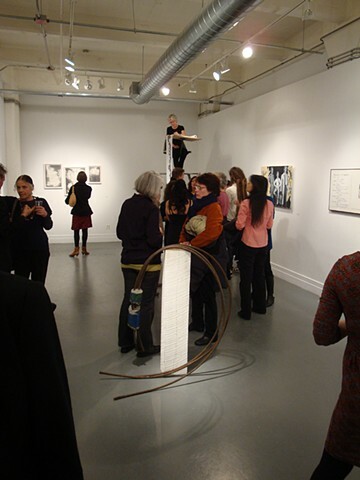 Drawing on a scroll of paper as it trailed to floor for the exhibition month.